I can't tell if the marks on the bottom of this cup are just worn down but I cannot for the life of me identify a single marking on here. The first one sort of looks like a lion but without any details. The other thing that stood out to me is there were only 3 visibly different hallmarks where most everything else I've seen has 4. Any help would be greatly appreciated. No hallmarking here (made in England is the tell tale). Try Gothic (olde English) letters...C or Co at the end (for copper or Company)...so maybe EPC for electro-plated copper, or letters for a company name working in plated wares. Making more sense as you look at it? 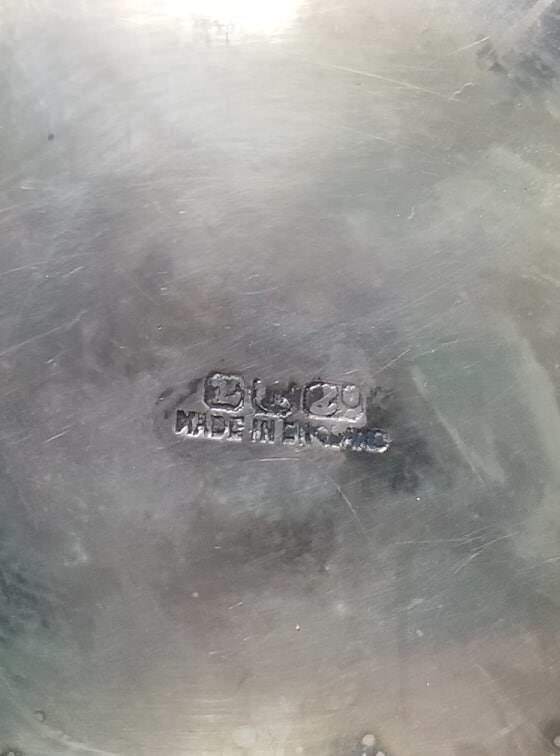 I think it might be a silver plate mark for Elkington & Co.
but that doesn't lead me to any particular company name. Yes, tricky! Second mark could just be an anchor for Birmingham...thrown in for marketing reasons.